It's a Rhubarb State of Mind! 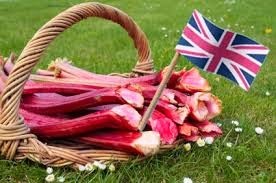 Makes you Proud to be a British Rhubarb! Yes it is Spring time and flowers are blossoming. When walking this weekend I was astounded by the amount of bluebells carpeting the forest floor. For some strange reason, I don't have to give any excuse to be strange!, the bluebells made me think of Rhubarb. Is it a vegetable is it a fruit, I don't really care because its going to be an ingredient in one of our cakes!! This morning I grabbed Lindy, my other chief chef Lunatic, then put her down in the Kitchen. There we messed around for hours before we decided to do any work and Voila! It was created! 40 minutes later we took it out of the oven, and whilst it lay on the cooling tray we discussed life, whilst looking out of the window at the sunshine. Coffee was made and the time was here for tasting. Will we have our next best creation, will all our dreams of Rhubarb come true, what socks should I wear tomorrow!! 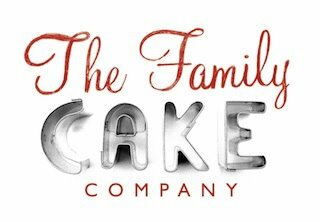 All this was running through my mind as Lindy dusted the cake ready for me to cut with my pallet knife. I was handed a piece. Without further ado I popped it in my mouth, flavours danced across my tongue, mmmm yes this was very nice, I like it! Clotted cream was found and dolloped on top of a another piece. Coffee washed down the light crumbling sponge. Vincenzo peered at me over the rim of his coffee cup and as he placed it on the table a smile tickled over his face..... A success!